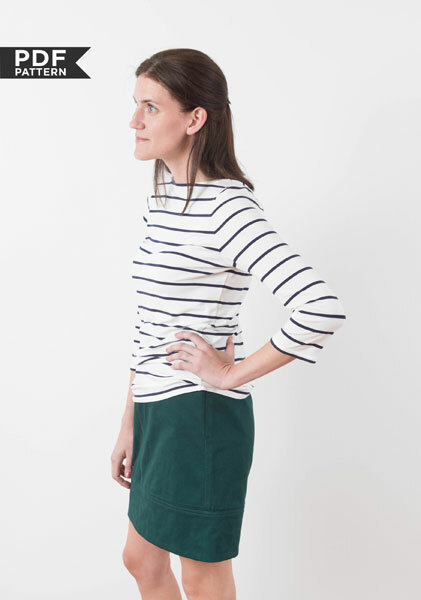 The Moss is a semi-fitted skirt that sits slightly below the natural waist and works up well in a variety of fabrics, from denim to wool to corduroy and many fabrics in-between. 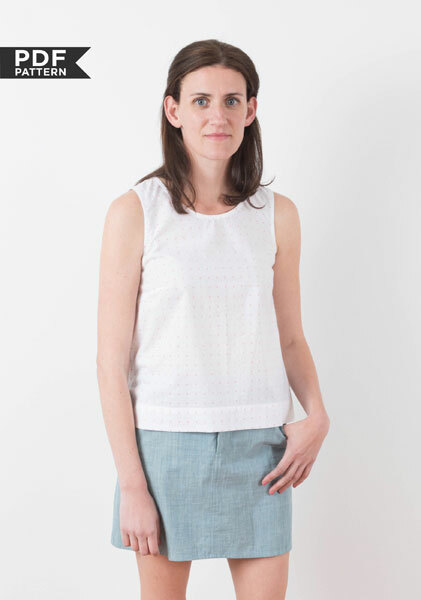 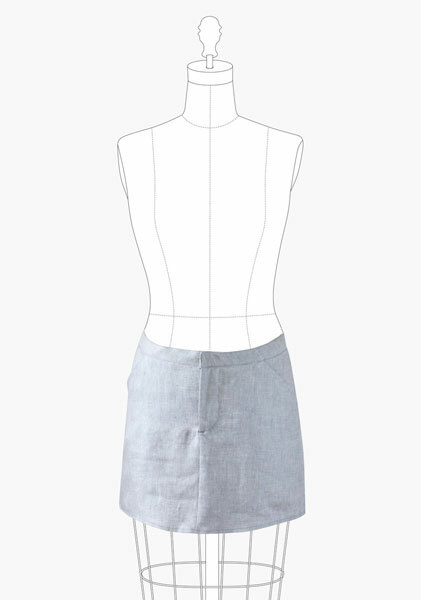 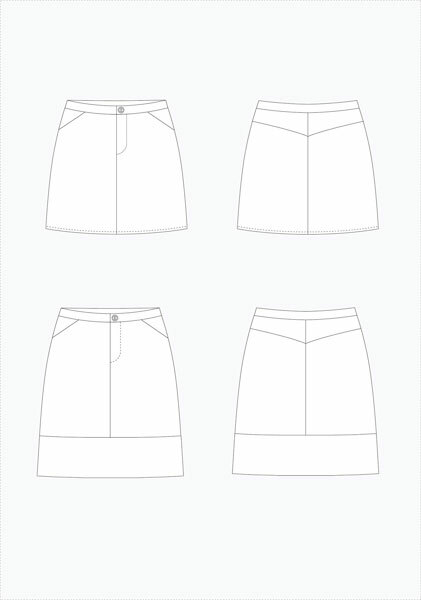 Skirt features a fly front and button closure as well as a yoke at the back. 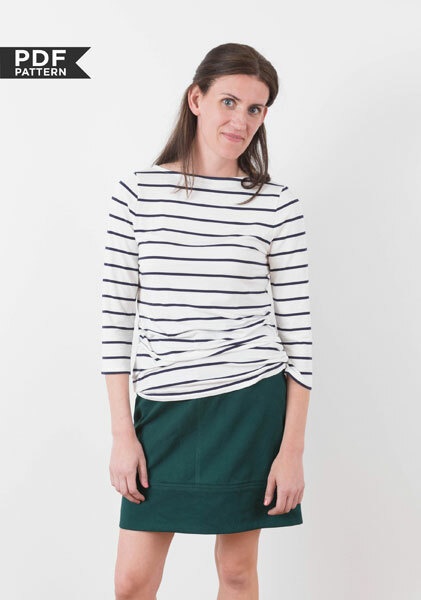 The Moss is a semi-fitted skirt that sits slightly below the natural waist and works up well in a variety of fabrics, from denim to wool to corduroy and many fabrics in-between. 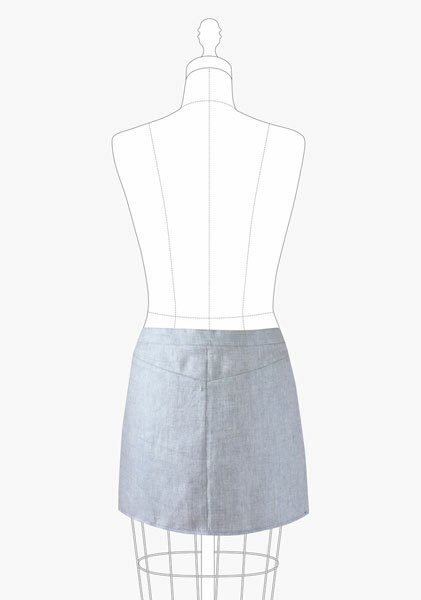 Skirt features a fly front and button closure as well as a yoke at the back. 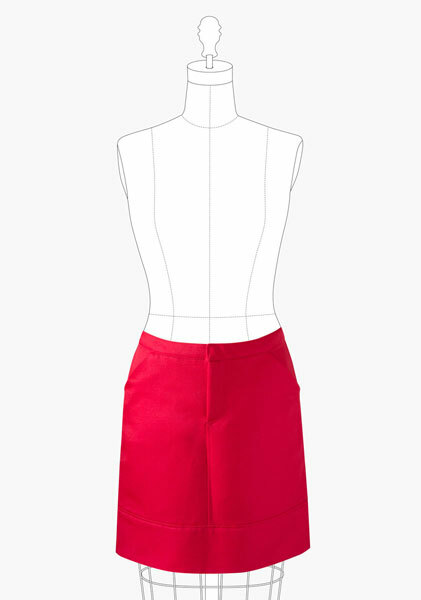 If mini isn't quite your style, add the hem band to create the longer silhouette of View B or use the hem band to get a little fancy. 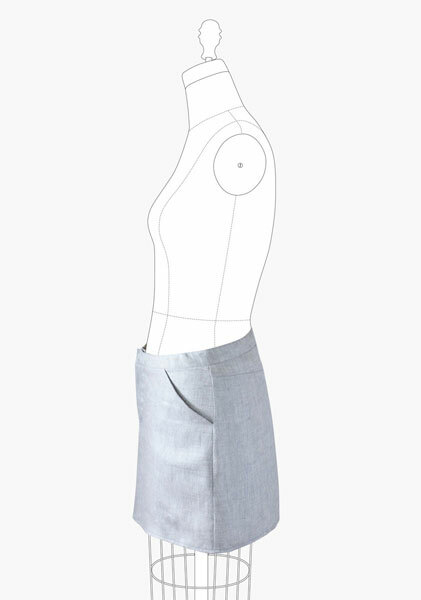 Medium to heavy weight fabrics such as denim,twill, cotton or wool. 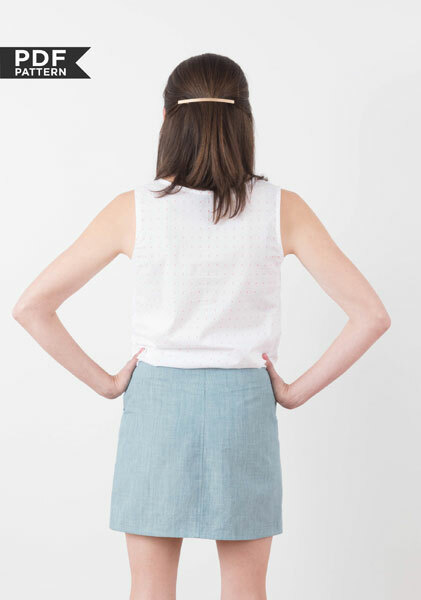 Generally anything described as "bottom weight." 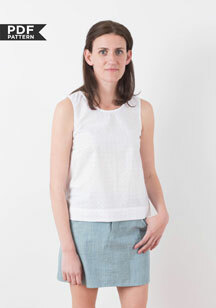 Extra fabric is needed to match plaids, stripes or one-way design fabrics. 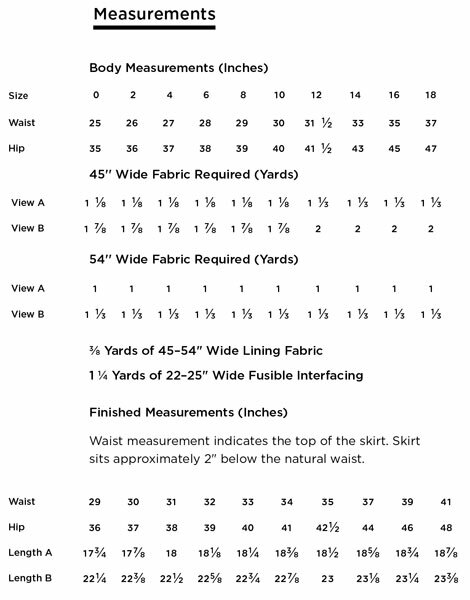 Waist 29" 30" 31" 32" 33"
Hip 36" 37" 38" 39" 40"
Waist 34" 35 1/2" 37" 39" 41"
Hip 41" 42 1/2" 44" 46" 48"